Could you make a burger out of them though? brilliant post! I grew up in suburban London surrounded by many different cultures which my mum totally embraced... we never went as far as crickets but I used to take taramosalata sandwiches to school and all my friends could never understand why I had pink sandwiches!... I love the pestaurant idea, it's a PR stunt for sure but at least they're embracing their waste products! It is rather fun, once you get past the thought of rats :) And hooray for taramosalata sarnies! 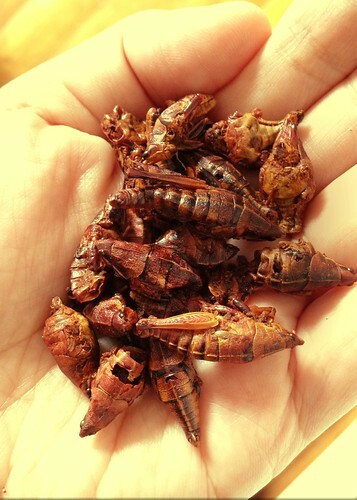 I ate crickets and cicadas in China. 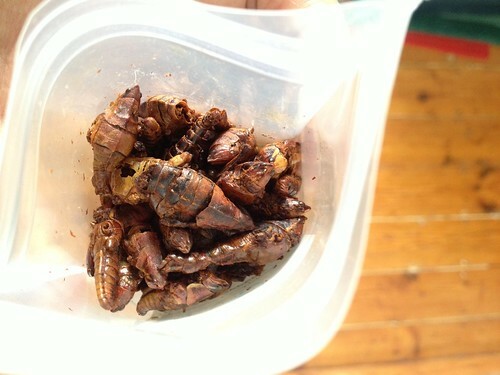 They were mostly crunchy, but failed to chew them properly and ended up with a hairy insect leg stuck in my soft palate. Three days of coughing later I managed to fit enough of my hand into my mouth to fish the damn leg out. 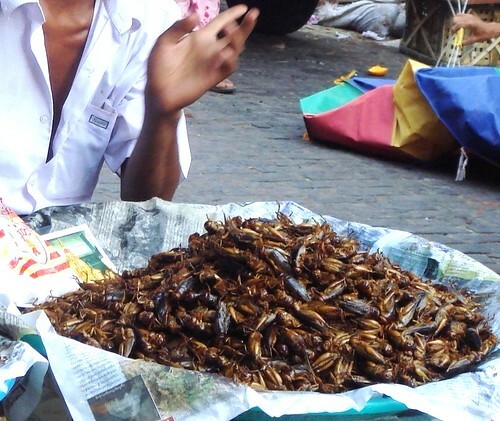 Let this be a warning to anyone dining in the Pestoraunt: chew your insects properly. Thanks Dennis - I felt like a change! Shame you weren't able to go! I'm generally pretty adventurous, will try most things once. I don't get why in the UK one four legged animal is perfectly acceptable as food and another is decried as barbaric. What is it with the British and their bloody pet syndrome? I say this as a Brit myself, born in London but to Indian immigrant parents. The only rule I have, and it's a personal choice, is that I won't eat an animal that is endangered or one that is still alive when I eat it. I am confident that if it's killed just before I eat it that's I'm not going to lose out on the freshness front! 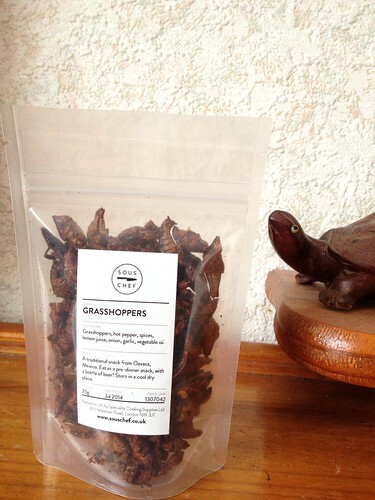 I've enjoyed various insects I've eaten, though I've not tried crickets. 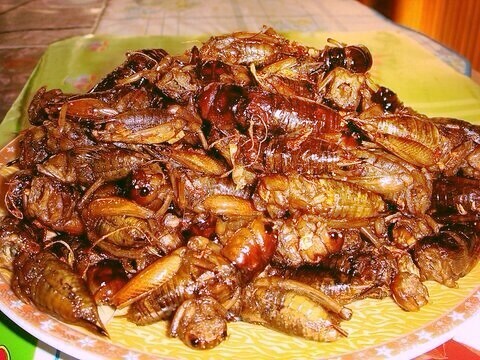 I really liked mopane worms in Southern Africa (which are caterpillars). Those were delicious! PS I HAVE to share this - my security word verification thing for the above was "116 ants8of" --- ha! 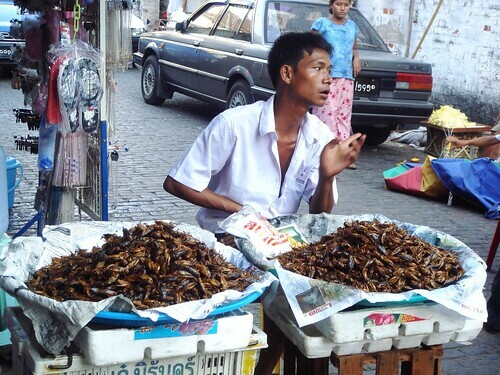 I want to try those worms!